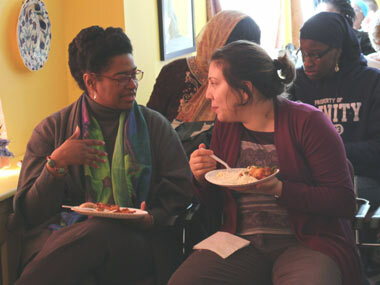 On March 20, 2011 the IDC hosted a Woman Gathering where Dr. Antonitte Ellis-Williams from NJ City University was the host speaker. 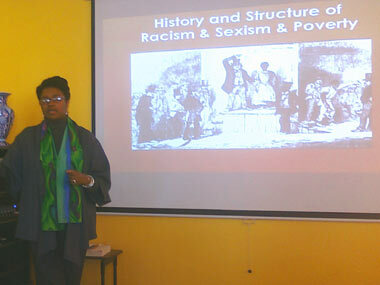 Dr. Ellis-Williams spoke about the Black Womanist Model in Human Rights Movement. Dr. Ellis-Williams attracted a lot of attention while giving paradigms of famous names like Maria Stewart, Ida B. Wells, Fannie Lou Hamer, Shirley Chisholm as democratic models of liberation. The audience enjoyed the inspirational presentation of Dr. Ellis and were encouraged to ask questions following the presentation. 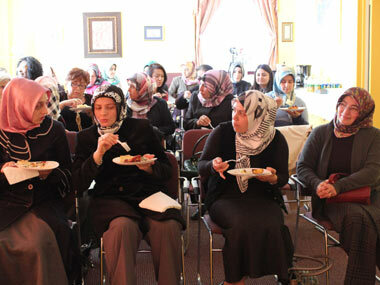 Everyone was eager to meet each other while enjoying the delicious Turkish food before Dr. Ellis-William's presentation started.